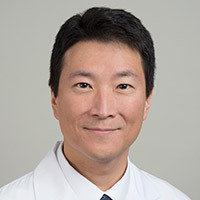 Dr. Richard Kim received his undergraduate degree at the Pennsylvania State University, and his medical degree at Jefferson Medical College. He is a board certified Family Medicine physician, and enjoys seeing patients from their teen years through senior adult. Dr. Kim sees the physician as a teacher, whose job it is to guide and encourage patients to learn, and make the best decisions for themselves, as personal autonomy is his fundamental guiding principle.